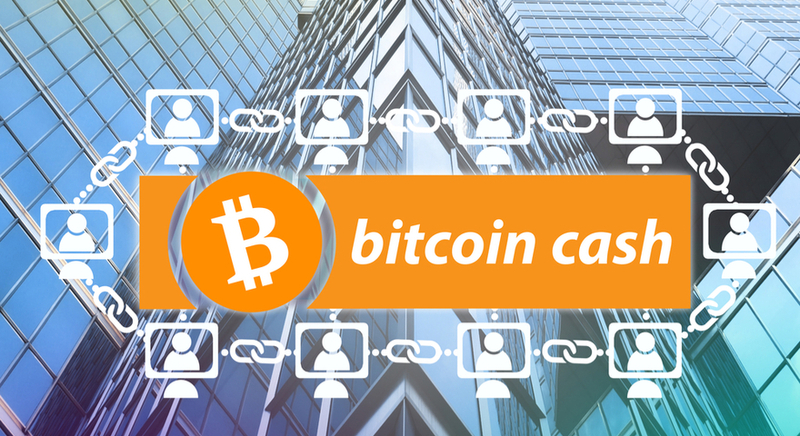 Bitcoin Cash (BCH), like its predecessor Bitcoin (BTC), is a peer-to-peer electronic payment system that is supported by blockchain technology and a decentralised computer network – a system based on cryptography processes that verifies and records electronic payment transactions without relying on trusted third parties, i.e. financial institutions. Bitcoin Cash then lowers transaction costs by removing third parties who mediate disputes between buyers and merchants. Theoretically, it should decrease fraud by requiring security protocols, such as proof-of-work and digital signatures that are verified on a publicly-distributed ledger, known as blockchain. Bitcoin Cash was created by the Bitcoin miner and developer community as they were concerned with the future of the cryptocurrency and its potential inability to scale-up effectively. BCH was formed as a result, with the main difference being that it features an increased block size, helping to accelerate the verification process. Trading Bitcoin Cash CFDs are not much different to trading any other currency pair, commodity or CFD. However, when approaching the financial markets, it's critical to ensure that you're well prepared before entering any trade setups. Yet, you might be wondering, what does a good level of preparation look like? Risk management is critical. It allows traders to protect their capital, which is needed to access the financial markets. Without proper risk control, traders tend to over-risk on one or a couple of trade setups, which may lead to large losses and drawdowns. See the video below for more details (English only). To successfully implement the below trading strategy, you will need to download Admiral Markets' MT4/MT5 plug-in called MetaTrader Supreme Edition. Among many other great tools, there is an indicator called the Admiral Pivot. To be able to trade this strategy, you need to follow certain rules. 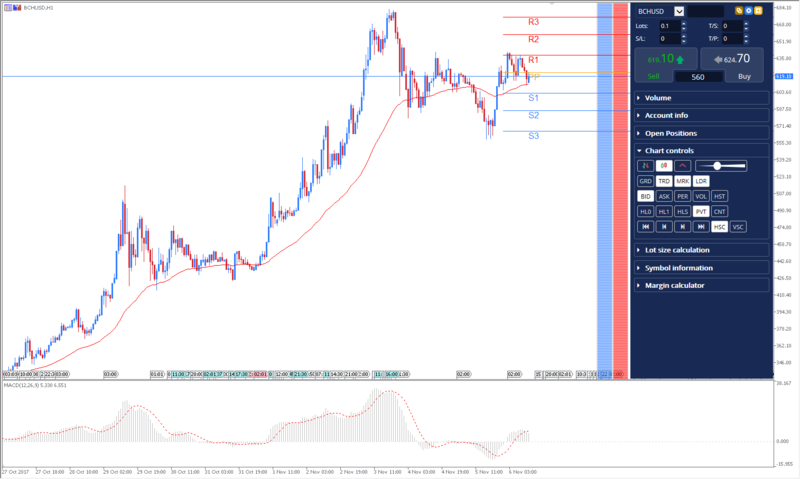 For buy trades, the MACD should be above the zero line, and the price, above the 50 EMA. When the price breaks the Admiral Pivot from below and closes above it, place a buy order. 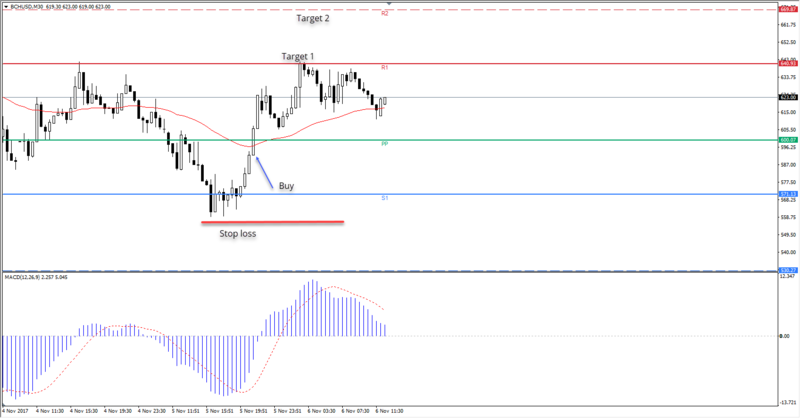 The chart below shows how this looks on the MT5 platform. With just one click on the Admiral Mini Terminal, you can add the pivots to your charts. This enhancement is the future of online trading because MetaTrader 5, which retains the usability and the looks of MT4, is incomparably more advanced and feature-packed software, both on the client side and on the server side. This means that it's able to support even more instruments, markets, exchanges and trading setups, with almost no limits on flexibility or scalability – and that's really good news for our traders! This is just a small list of some of the new features that the new MT5 has, find out more and download for free today on our website. Besides trading Bitcoin Cash versus the US Dollar ( BCH/USD), Admiral Markets clients can also choose to trade CFDs on Bitcoin versus the US Dollar (BTC/USD), Ether versus the US Dollar (ETH/USD), Litecoin versus the US Dollar (LTC/USD) and Ripple versus the US Dollar (XRP/USD).